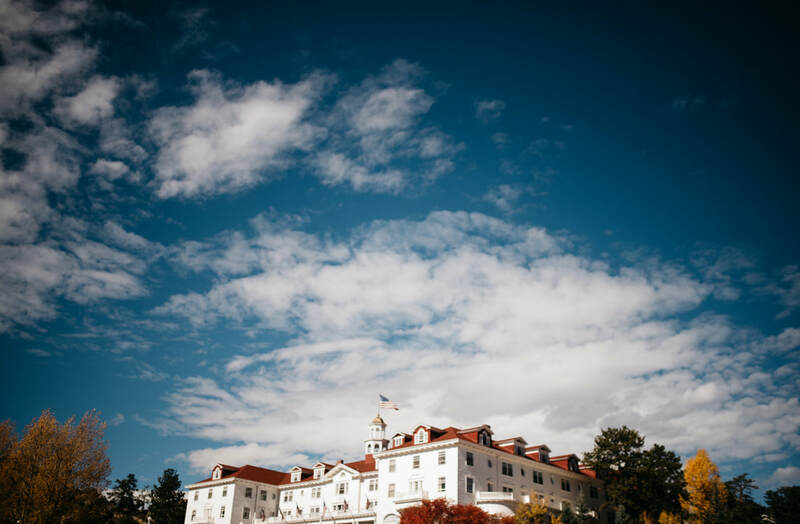 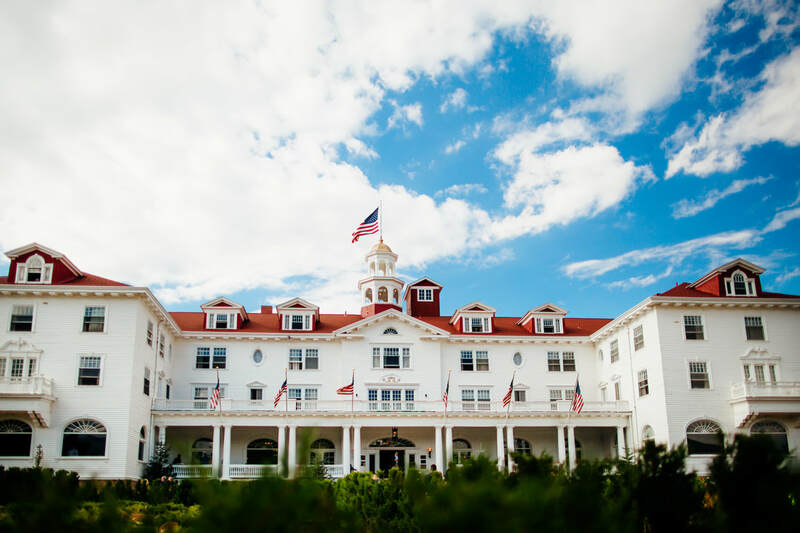 Envision your once-in-a-lifetime mountain destination wedding day at the beautiful historic Stanley Hotel, nestled in the majestic Rocky Mountains. 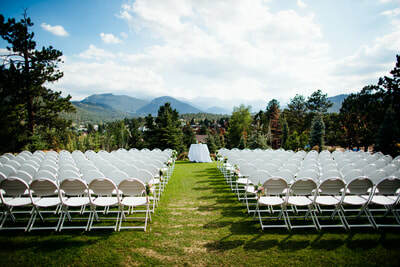 We offer a variety of elegant and unique event spaces for your Estes Park wedding, one of which is sure to meet your needs and individual style. 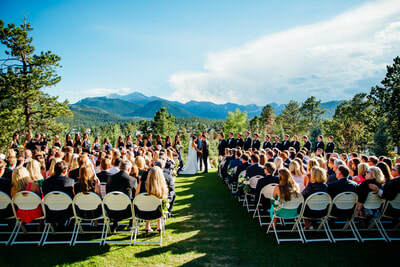 With the benefit of a full-service hotel, spa, tours department and gift shop, you and your guests will be able to enjoy a memorable and unique mountain wedding venue experience in the shadow of the stunning Colorado Rockies. 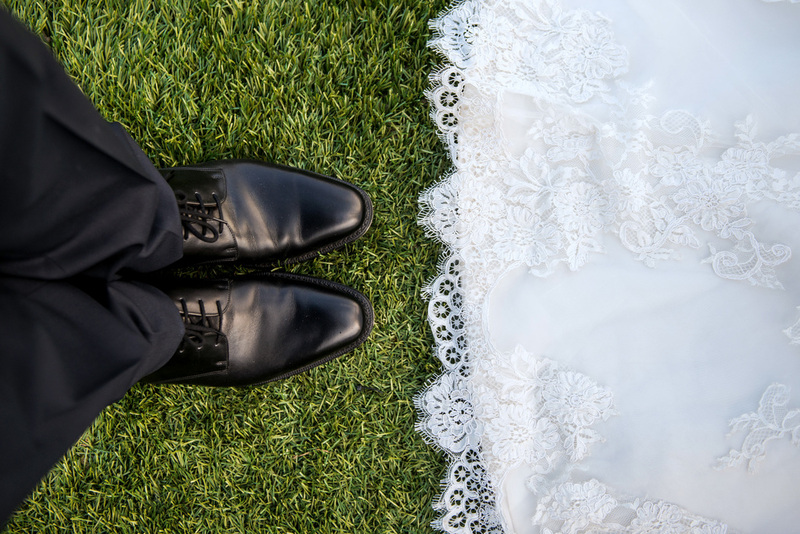 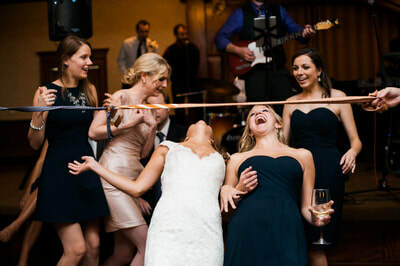 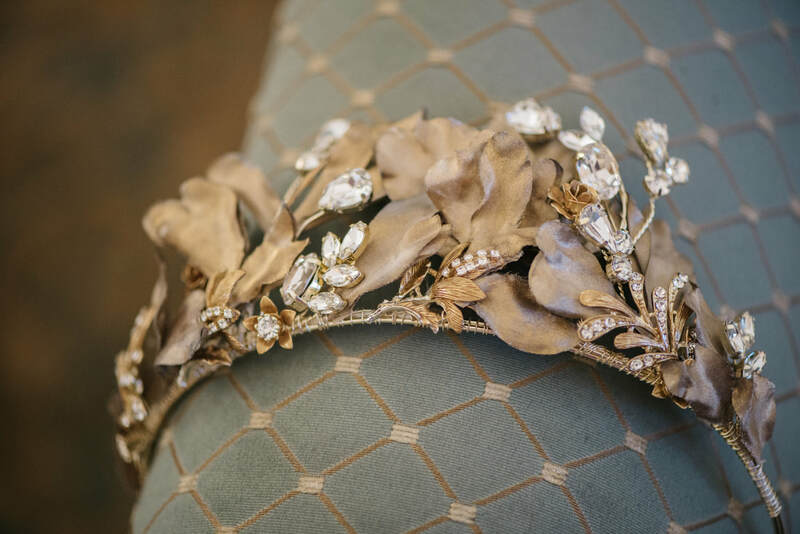 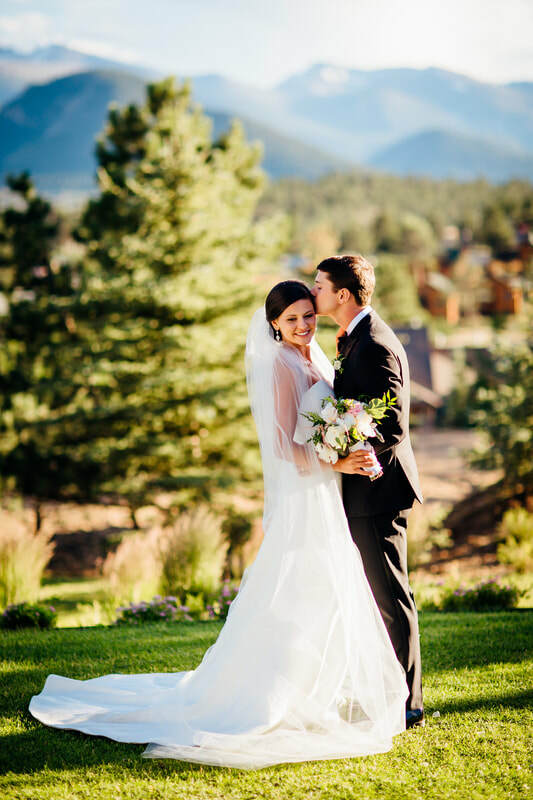 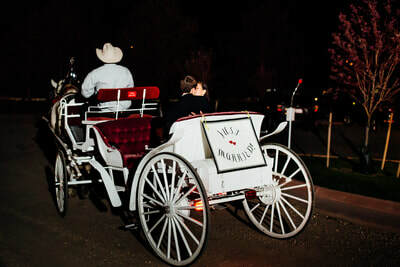 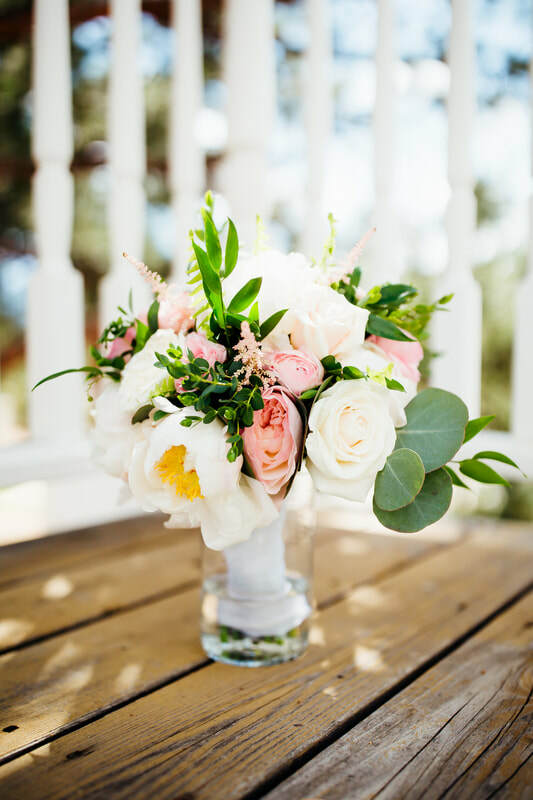 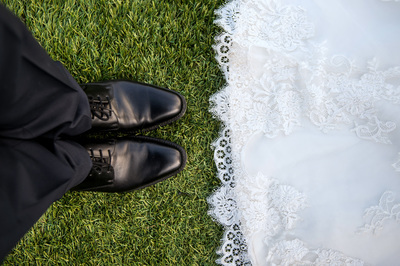 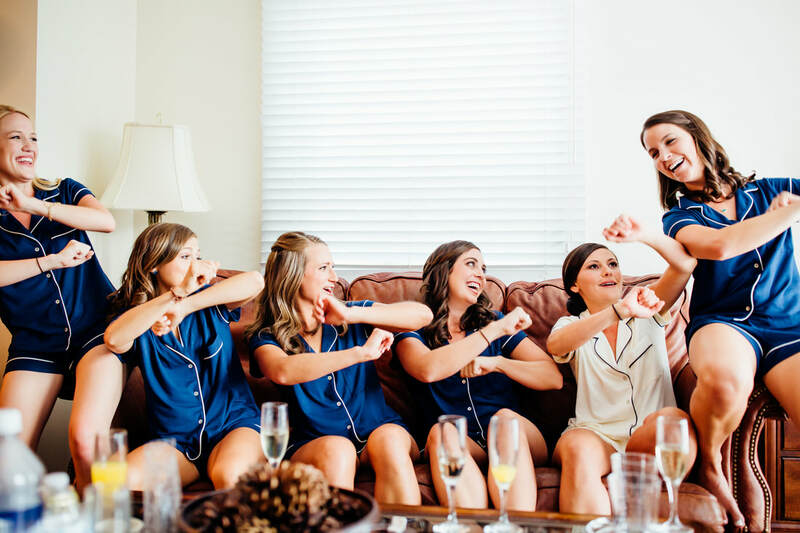 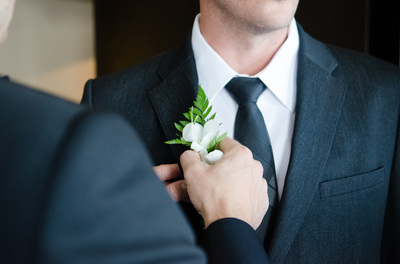 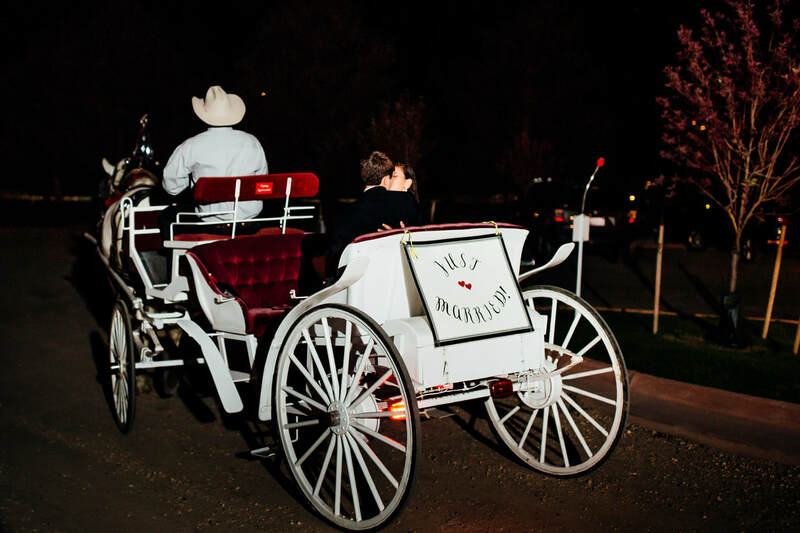 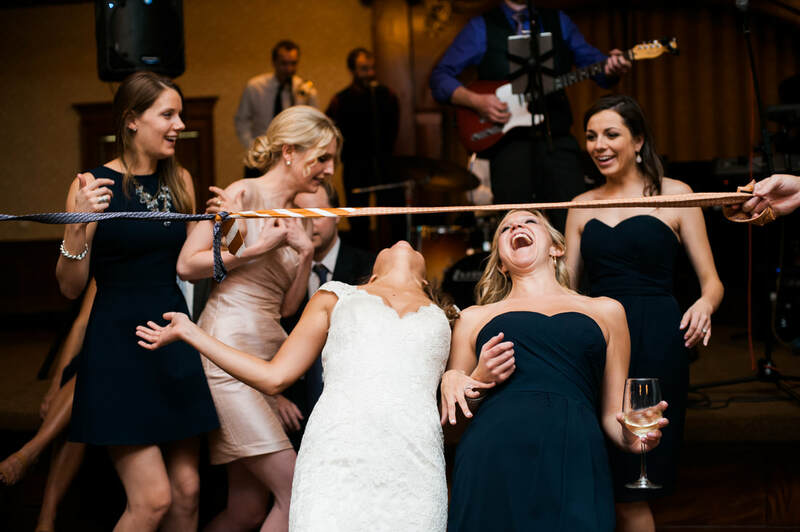 Having delivered hundreds of beautifully successful Colorado destination wedding experiences, our dedicated wedding team will plan out every detail for your ceremony, reception, rehearsal dinner, farewell brunch and any other special occasion. 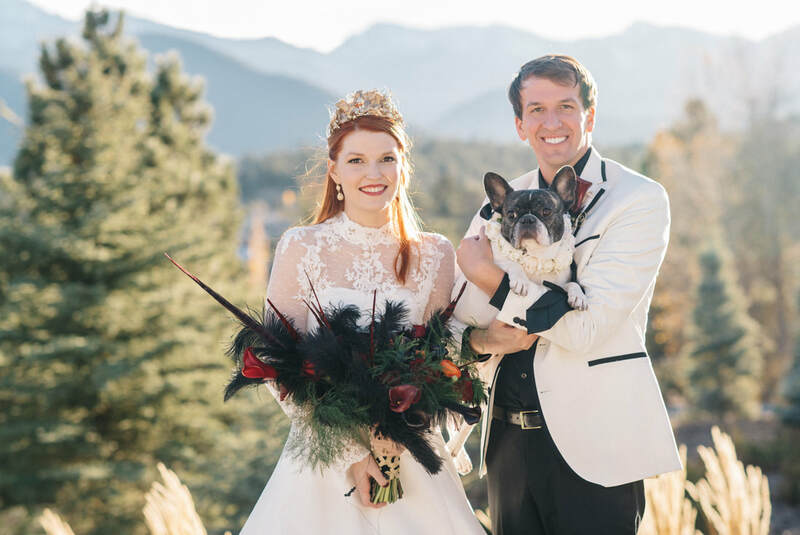 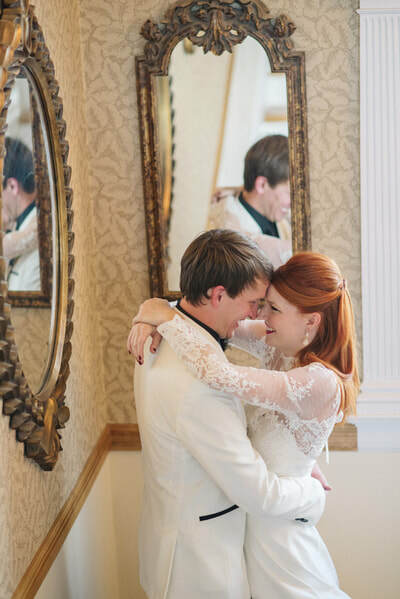 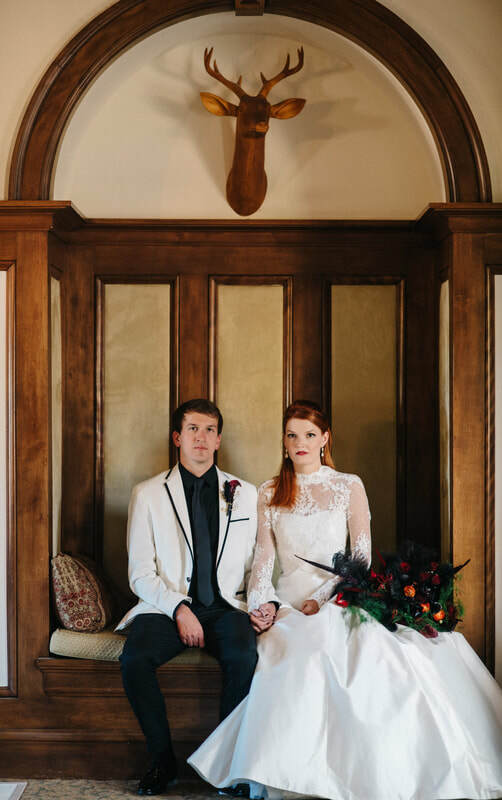 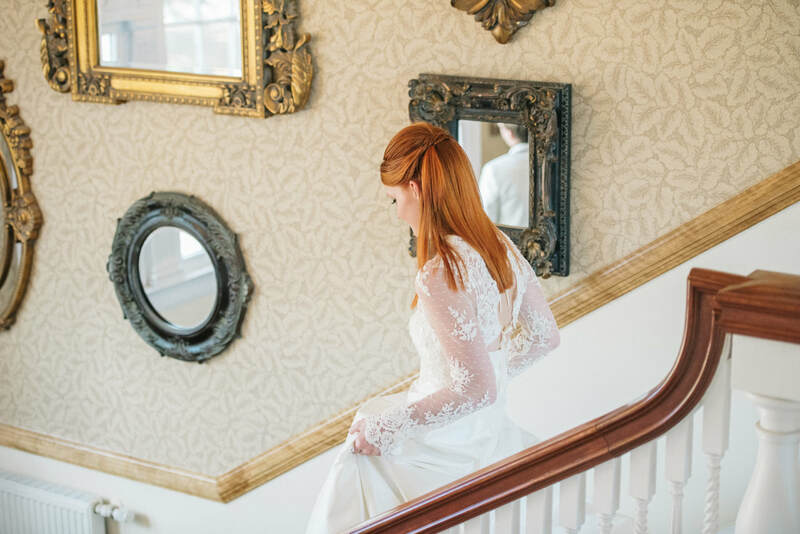 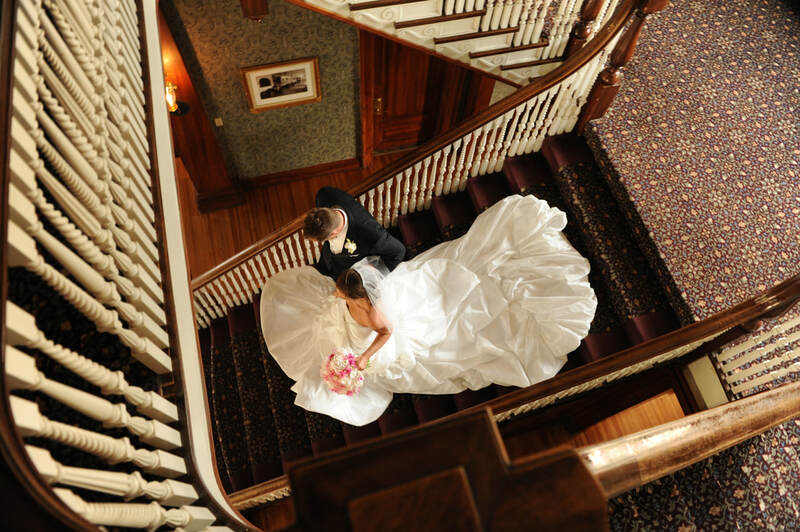 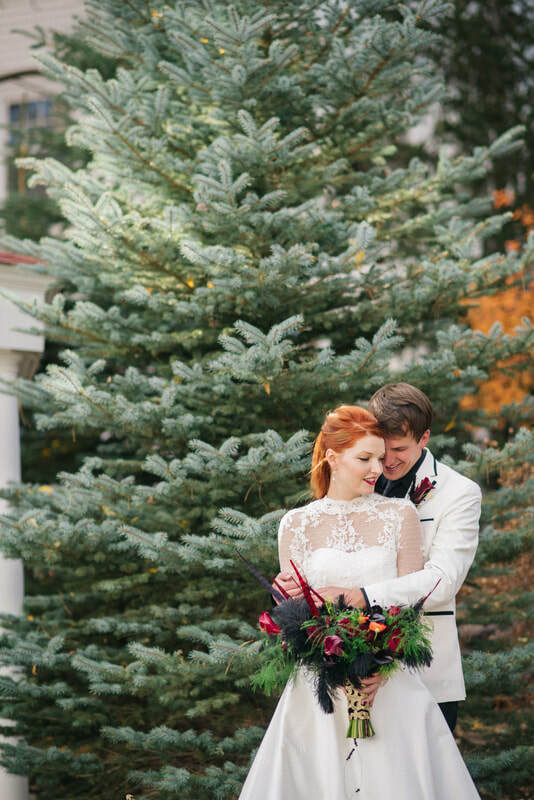 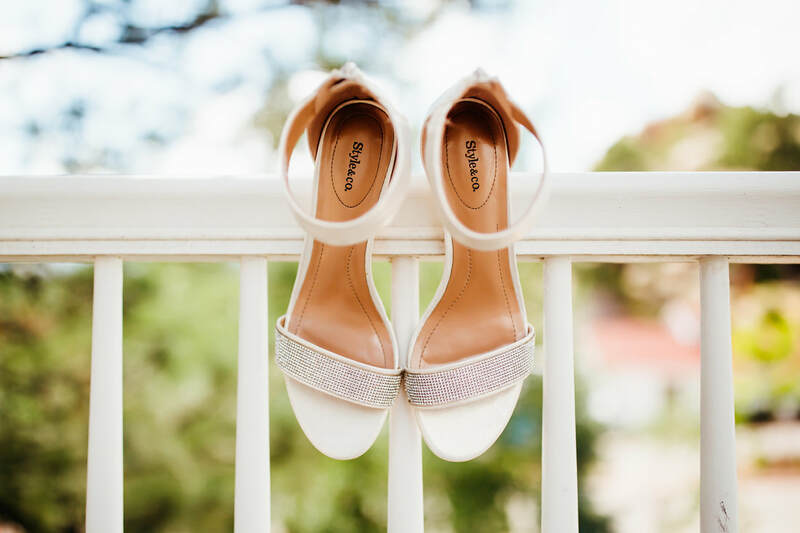 ​The Stanley Hotel proudly features some of the most stunning and unique venues in Colorado for your mountain wedding, from intimate spaces to grand ballrooms to outdoor venues with breathtaking scenery. Our variety of elegant wedding venues guarantees that you will be able to create a truly distinctive event that is tailored to your individual style and one that your guests will never forget! 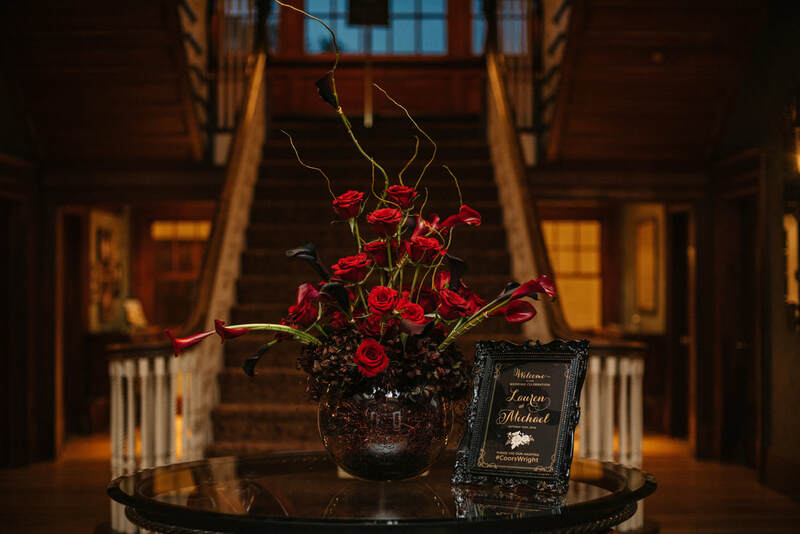 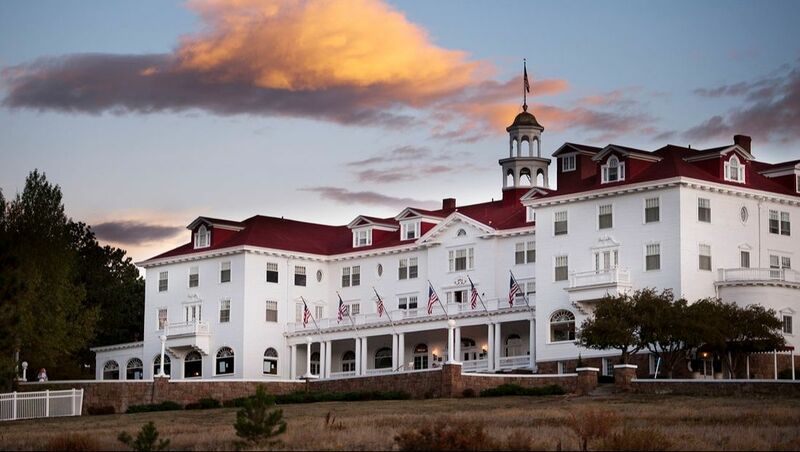 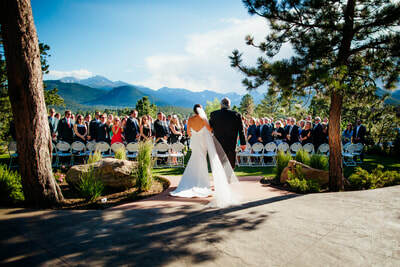 The Stanley Hotel is proud to introduce Northern Colorado’s newest events and wedding complex. Set against the striking backdrop of Long’s Peak and Rocky Mountain National Park on the grounds of the Stanley Hotel, The Pavilion builds on the FO Stanley architectural heritage while combining cutting-edge design, technology and innovation. 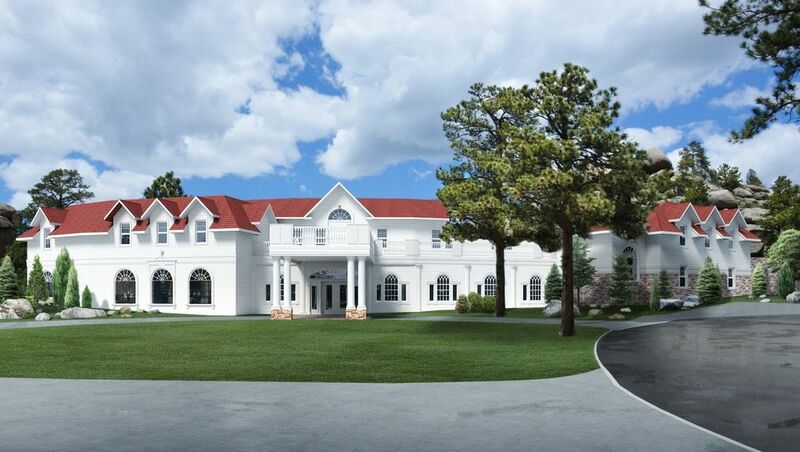 The Pavilion features a 250 seat glass-door auditorium and over 8,000 sq. 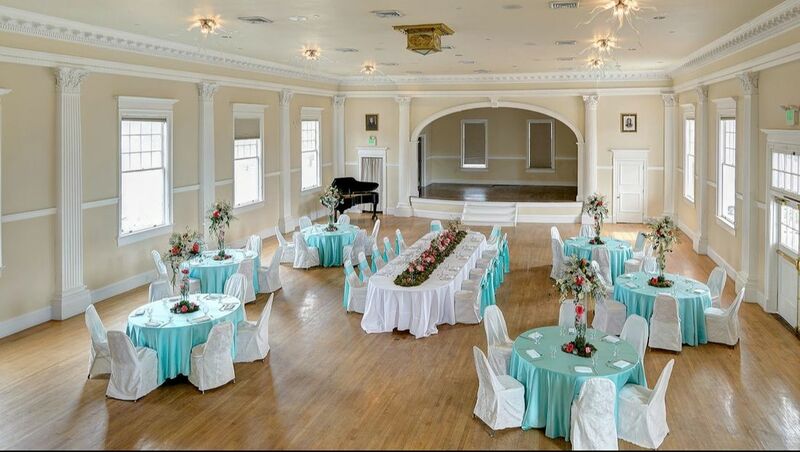 ft. of banquet space set against a private pond. 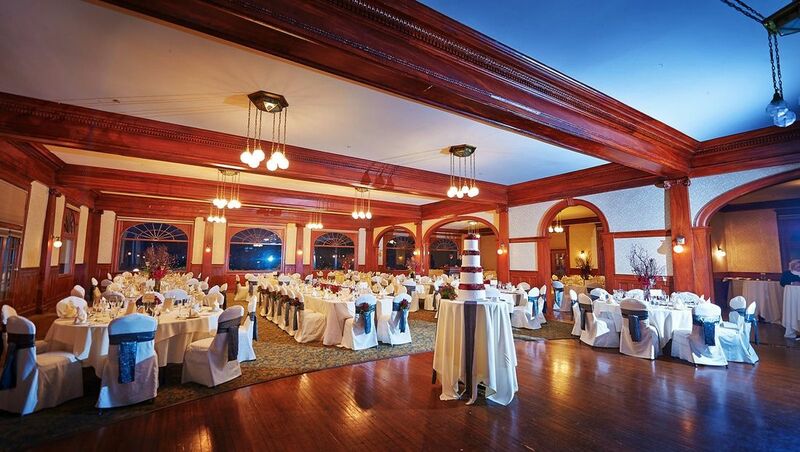 The original main hotel features historically decorated spaces that can accommodate up to 200 guests for banquets. 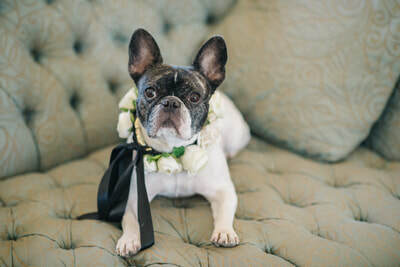 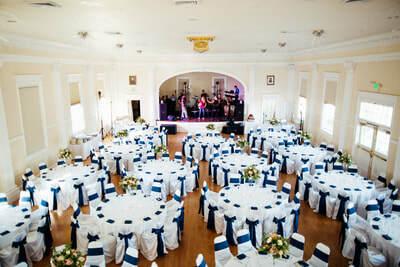 Unique wedding venues include the MacGregor Ballroom, the Music Room or the Pinon and Billiard Rooms. If you would like to hold your event outdoors, we recommend the Front Lawn of the main hotel, which offers breathtaking views of Longs Peak and Lake Estes. 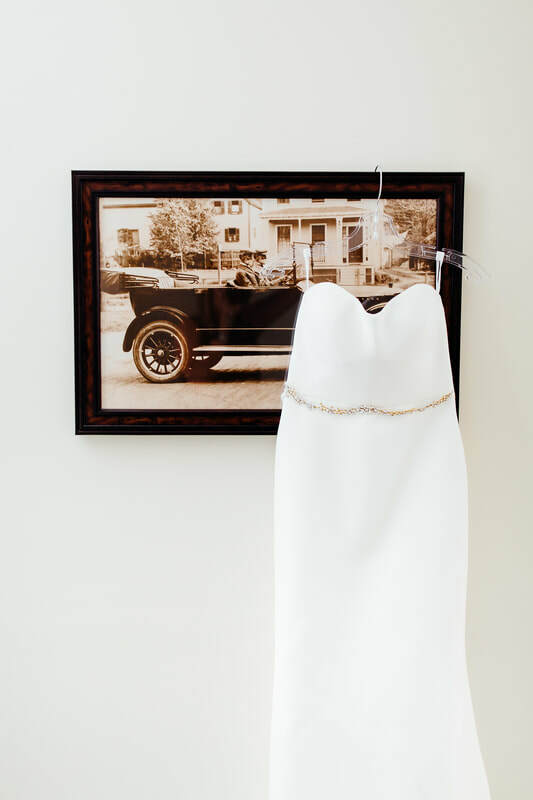 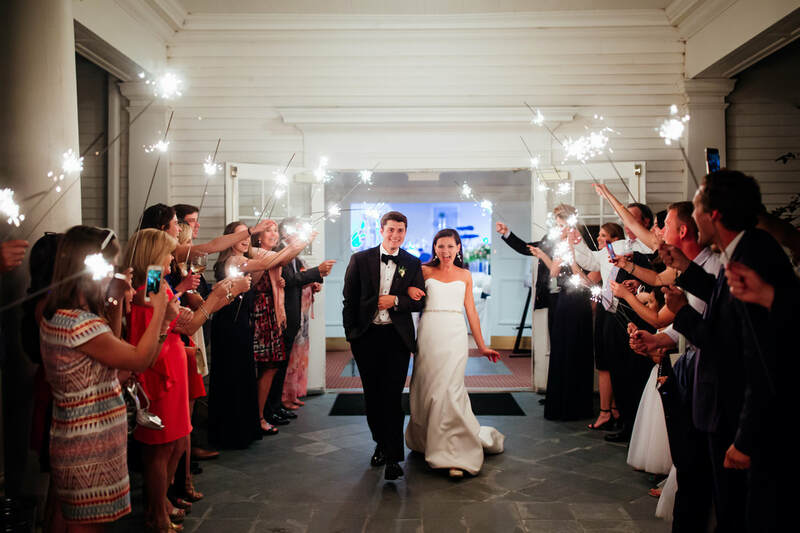 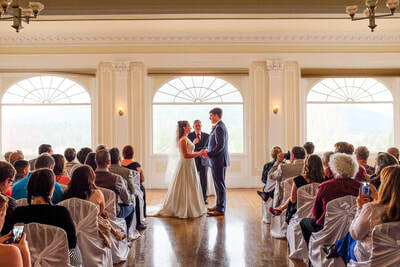 Previously known as the Manor House, the 40-room Lodge at The Stanley is a newly-remodeled building ideal for smaller weddings and entire group buyouts. 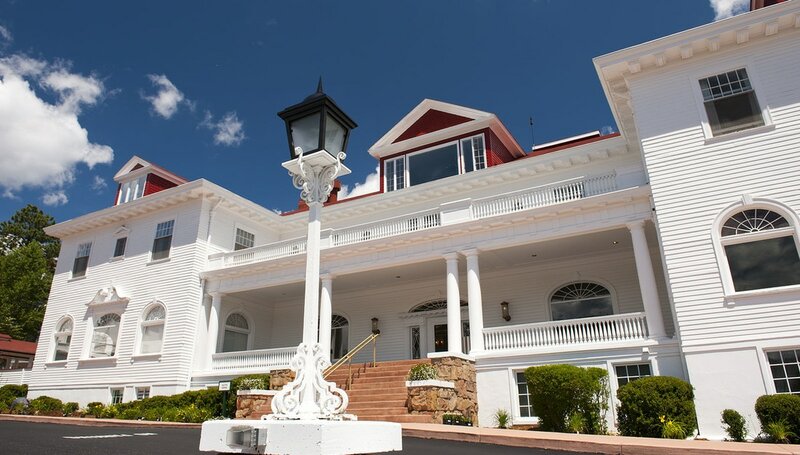 Key features of this building include dog-friendly accommodations, myriad smaller spaces for intimate get togethers, daily continental breakfast and updated furnishings. 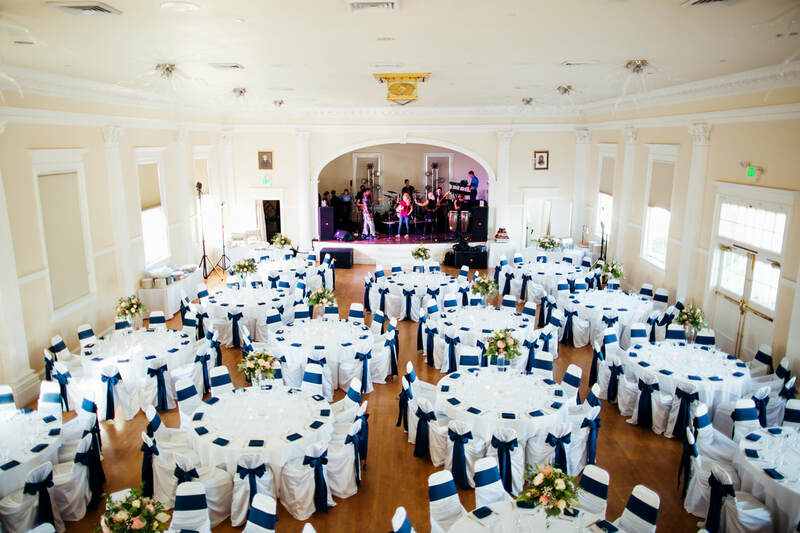 As the Stanley’s largest event space, the MacGregor Ballroom offers majestic views of the Rocky Mountains, richly detailed woodwork, a large stage and dance floor and seating for up to 200 guests. 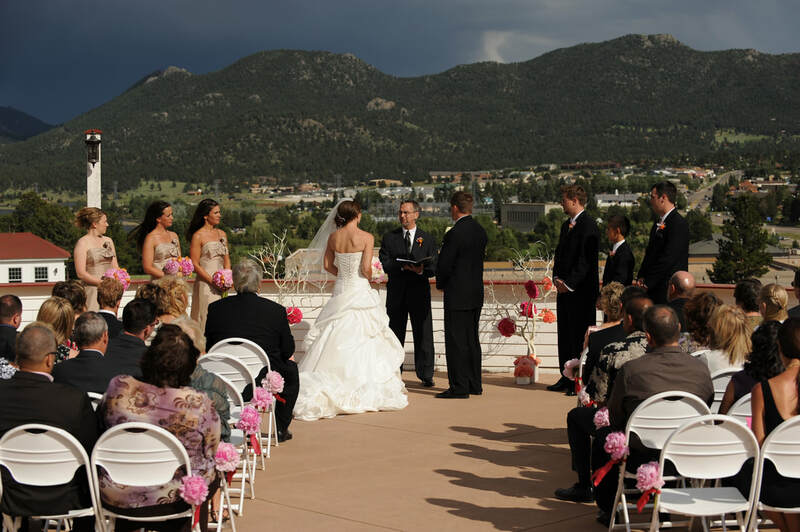 The Concert Hall offers a more secluded setting, seating up to 150 guests for your wedding reception or up to 200 guests for your ceremony. 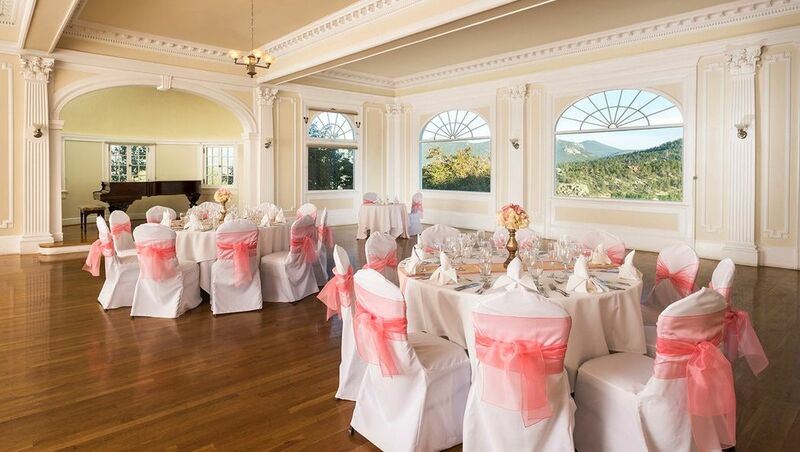 The spectacular hall boasts dramatic high ceilings, large windows and a private veranda with panoramic mountain views. 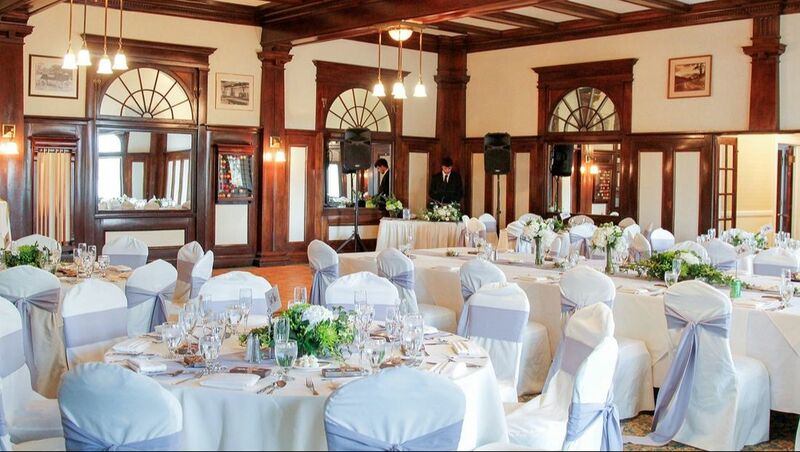 The Pinon and Billiard Rooms combine to accommodate up to 80 guests for your wedding reception. 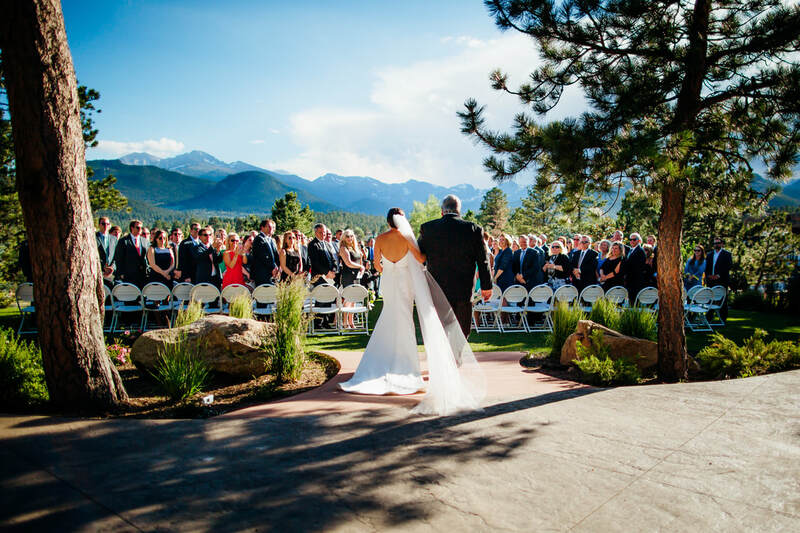 Full of historic charm, this romantic setting offers beautiful pinon woodwork and access to the east veranda overlooking the valley and Lake Estes. Featuring arched Palladian windows framing dramatic mountain views, a historic Steinway piano, fireplace and French doors leading to a private veranda, the Music Room is the ideal venue for more intimate receptions of up to 70 guests or for stunning ceremonies of up to 130 guests. 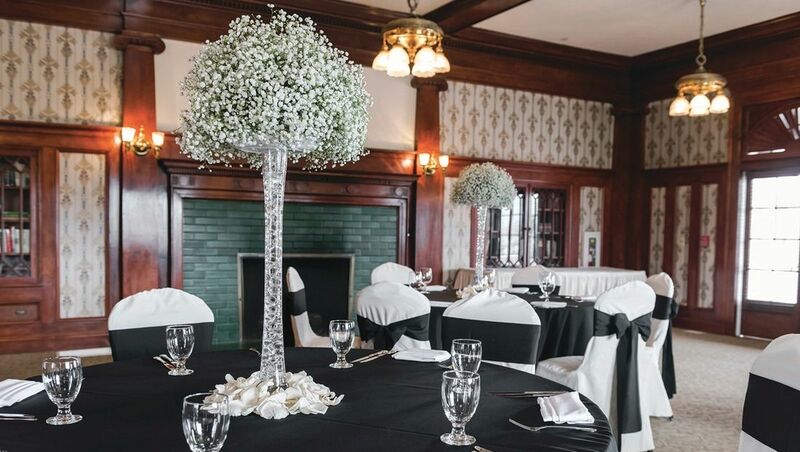 The Library Room, located in the Lodge at The Stanley Hotel, offers a warm and cozy ambiance for up to 50 guests for a wedding reception, featuring mountain views, bookcases and a romantic fireplace. The Library has access to an east veranda overlooking the valley and Lake Estes.